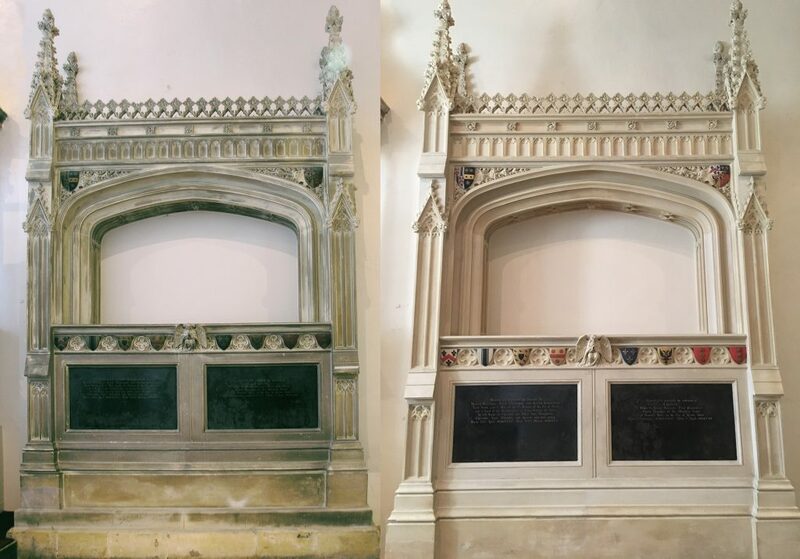 Over a six month period in 2016 we undertook the conservation of three wonderful stone monuments within St Michael’s Church, Coxwold. The monuments date to the seventeenth and nineteenth centuries and are dedicated to members of the Belasyse family. 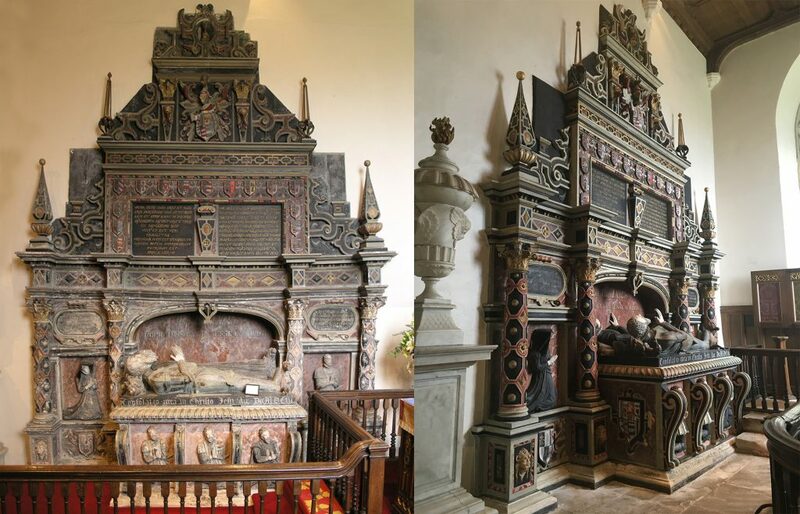 Monument to Sir William Belasyse (d.1603) and his wife, Margaret. The monument by Thomas Browne consists of a tomb chest with a large, elaborate polychromed and gilded architectural surround. 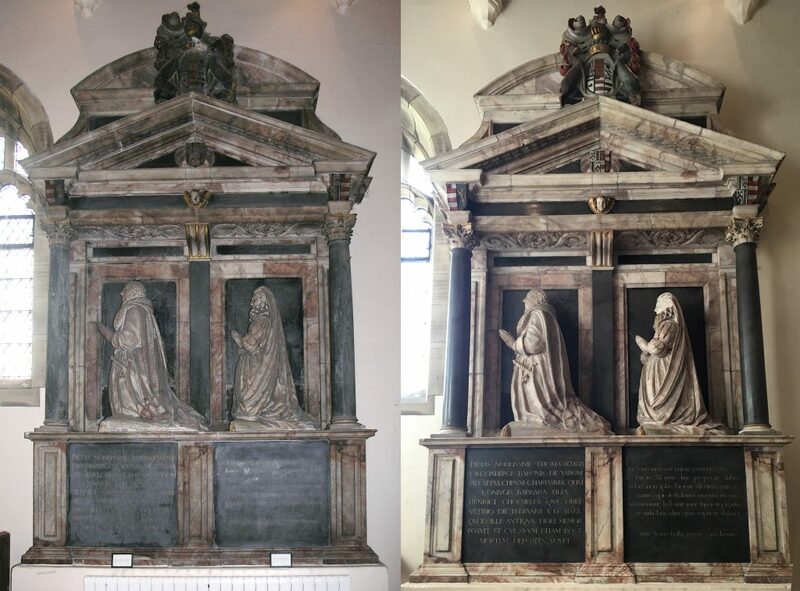 Monument to Sir Thomas Belasyse, 1st Viscount Fauconberg, and his wife Barbara Cholmeley, dated 1652. The monument has an alabaster body with marble and limestone elements several of which retain polychromed decoration. Monument to Sir Henry Belasyse, 2nd Earl Fauconberg and Countess Charlotte Lamb, circa 1830-1840. 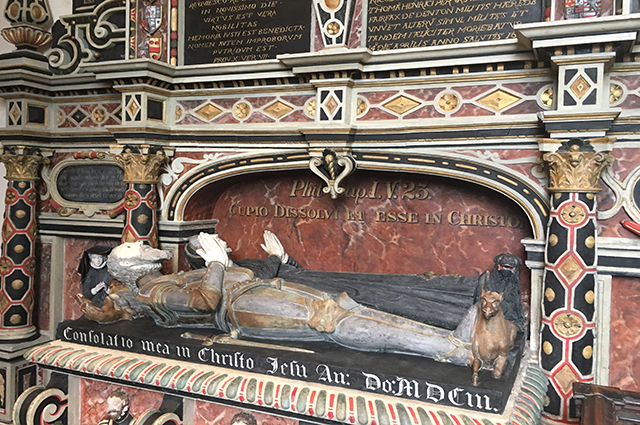 The monument is constructed of fine limestone, sandstone and polished black carboniferous limestone with painted lettering and gilded polychromed shields bearing the emblems of the Fauconberg family.